Health care careers today involve not only patient care, but administration, technology development, research, and more. And college graduates with majors in health care-related fields are in high demand. At the University of the Sciences (USciences) in Pennsylvania, for example, 94 percent of graduates seeking jobs are employed within six months of graduation, and students in some areas (such as occupational therapy, physical therapy, and pharmacy) are averaging two job offers upon graduation, according to Shawn P. Curtin, interim associate vice president for enrollment management at USciences. With jobs in health care ranging from nursing and dietetics to medicine and athletic training, there are plenty of options for high school students (or adults going back to school) to find a career that matches their interests. In the latest My College Guide Junior Edition, my article on health care degrees explores some of these career options, provides advice for choosing a college, and offers tips for things students can do in high school to prepare for majoring in a health care field. See more of my writing on higher education topics. For a recent higher education blog post on My College Guide, I had the pleasure of interviewing financial aid and admissions professionals at several universities, including Carthage College, The University of Tulsa, Agnes Scott College, and Indiana Tech. These professionals provided some great advice about changes to this year’s Free Application for Federal Student Aid (FAFSA) and applying for financial aid. Filing the FAFSA as early as possible, since aid is often awarded on a first-come, first-served basis, is one of the most important tips these professionals provided. In addition, the FAFSA form has made some changes to parent information required and Congress has changed how federal student loan interest rates are set. Learn more about what’s new with the 2014-15 FAFSA and financial aid in my recent post. During my time as a recruitment marketing manager at Mount Mary University, I was intrigued by the animal-assisted therapy (also sometimes called pet therapy) students got to experience each semester, usually right before final exams. Pet therapy has become a popular stress relieving activity that higher education institutions offer to students. Just this fall, I’ve seen many universities, including Mount Mary, Marquette University, Colorado State University, Indiana University-Bloomington, and more, tweet about their pet therapy events on campus. When asked about the popularity of pet therapy on college campuses, Sarah DeLone, education program director at the Monroe County Humane Association in Indiana, says VIPaws (the local therapy dog group in her area) has been making more visits to Indiana University-Bloomington this year than they have in the past. In fact, they were on the campus four times this fall. You can see more about the Indiana University-Bloomington animal-assisted therapy events (including photos from the events) in my recent My College Guide blog post. 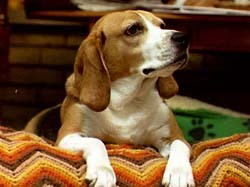 For more information on pet therapy, DeLone recommends checking out the Pet Partners website. Have I mentioned how much I love writing articles and blog posts for My College Guide? One of the reasons I enjoy this so much is that I get to talk to college administrators, admissions professionals, and financial aid staff all around the country and get their best advice to help high school students prepare for college. These professionals often have so much great advice to share that we can’t include it all in the magazine articles. This was the case with information on finding and applying for college scholarships for a recent article. Because of this, I compiled the “extra” advice into a new blog post. See expert scholarship advice from professionals at Iowa State University and William Peace University in my latest post. In September 2013, I started writing the My College Guide blog. The blog provides college preparation and college life tips and advice primarily for high-achieving high school students. To date, my blog post topics have included SAT and ACT preparation, fall college fairs, college rankings, online degree programs, and scholarships. I also introduced a “Major of the Month” series to highlight a different college major each month. While researching general scholarships available to students, I came across several organizations that offer scholarships or other award money to victims of bullying or to students who actively lead anti-bullying efforts in their schools. With the prevalence of bullying among students (about 13 million American kids are bullied each year) and with National Bullying Prevention Month happening in October, I thought these college scholarships and contests were timely to write about. See my recent blog post on college scholarships for National Bullying Prevention Month, plus check out the National Bullying Prevention Center’s website and StopBullying.gov for more information on bullying prevention. In the last decade the number of schools offering fully online degree programs has doubled. But traditional online degree programs aren’t the only educational offerings on the internet—there’s also massive open online courses (MOOCs), online certificate programs, and competency-based online programs. For the October 2013 Wisconsin Woman magazine, I interviewed students and administrators from various University of Wisconsin (UW) schools and programs to learn about all of these different types of programs and trends in online education. In the process, David Schejbal, dean of the UW-Extension’s continuing education division, told me I was the first writer to know the date when students can begin applying for the UW-Extension’s new competency-based online degree program: November 18. 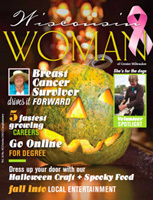 Check out the October 2013 Wisconsin Woman magazine (pages 7-9) for my article on emerging trends in online college education. My colleagues at Mount Mary University (formerly Mount Mary College) launched the redesign of their website early in September. The university completely revamped its website, including all of the content. I assisted the university with its website project by writing several pages of content and editing copy for a majority of pages on the new website. Check out the redesigned university website. Particularly see the Fast Facts, About Milwaukee, A Women’s University and Academic Excellence pages, which I wrote for the site. If you’d like to see samples of pages I edited (original content vs. edited content), please contact me. Wouldn’t It Be Nice if Scholarship Money Grew on Trees? For high school students (and their parents), figuring out how to pay for skyrocketing tuition, room and board, fees, and books is no easy task. Unfortunately for students, college money doesn’t grow on trees. But there are tons of scholarships, video contests, and essay contests students can enter from 9th through 12th grade to earn money to help pay their future college bills. In my recent article for My College Guide‘s Sophomore 2014 edition, I spoke with college professionals from William Peace University and Iowa State University to get their advice on starting the scholarship search early. I enjoy writing quarterly newsletter articles for Iowa State University’s Center for Industrial and Research Service (CIRAS) because of the excellent business people I get to interview and small businesses I get to learn about. One of my latest articles is the cover story for the CIRAS News Summer 2013 newsletter. The story is about two Iowa-based companies—one that manufactures trailers and another that manufactures sports equipment—and the product testing they do at Iowa State’s Structural Engineering Laboratory.